Grupo Ramón García has collaborated in the “Marketing and sales strategies for sustainable forest products trading” conference organized by PEFC GALICIA last November in Santiago de Compostela. 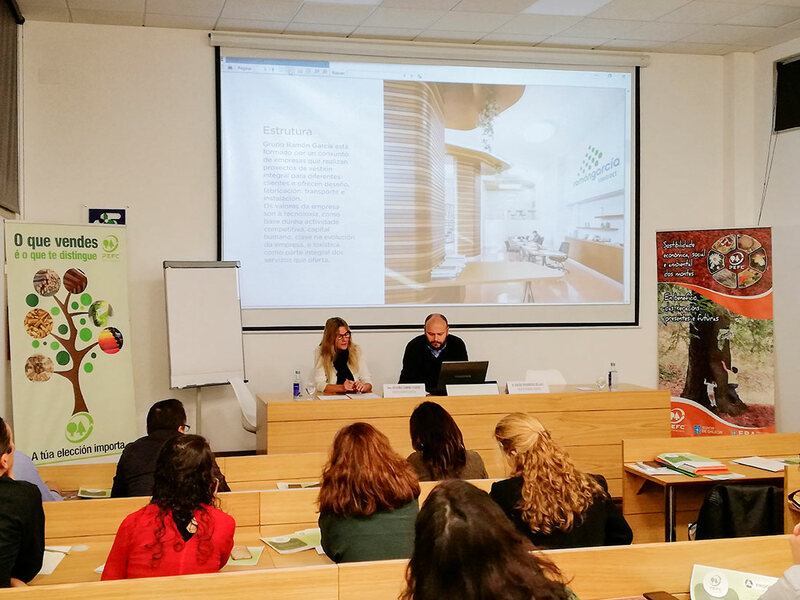 These sessions started with the aim of improving the commercialization of certified wood and presenting examples of success of “green sales” in the market. The personnel of the Chain of Custody Department from Ramón García Group, in addition to presenting the companies comprising the group, have exposed and commented on their experience in trading products manufactured with certified wood since 2010. At present, about 90% of the products manufactured by Grupo Ramón García are made with PEFC certified materials, thus positioning themselves as a responsible entity committed to the environment.